The topic of the Holocaust is a test for any society. The language of hatred and xenophobia, populism and fuzzy values are increasing today in Bulgaria. The project “Anguish and Salvation. The Remembrance of the Jewish Communities – a Guarantee against Hatred in Society” aims to contribute for reducing racism, xenophobia and hate speech through preservation of the local cultural memory, involving young people. 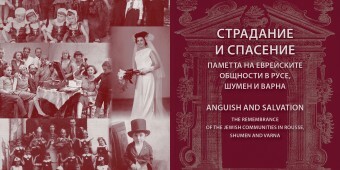 The project provides: a study in Jewish communities and digitalization, mobile exhibition in the museums of Rousse, Shumen and Varna, book of studies, discussions, educational module and essay contest. 300 students and 100 teachers from secondary schools in Northern Bulgaria, 100 representatives of Jewish communities, museum professionals and museum visitors will benefit from the results. Activities carried out and discussions encourage young people to reflect the theme of the Holocaust in terms of tolerance and anti-hate. 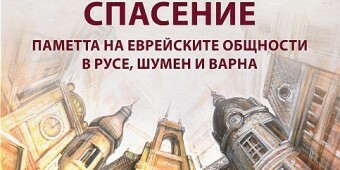 Project partners are regional museums in Rousse, Shumen and Varna. They host a mobile exhibition, discussions and educational module, co-organized the conduct of fieldwork study.